Andy Dittrich, who wrote a series of columns for us in 2004 and into last summer, will be exploring how drum corps folks stay focused and conditioned in the off-season in a new series of articles. 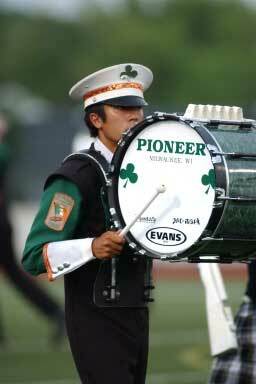 Akira Robles is a bass drummer for Pioneer. He just finished his third season with the corps. What techniques do you find to be best effective in maintaining personal musical growth in the off-season? Being a music education major, it is part of my schooling to work on my growth as a musician. Of course, the type of music and performance situations I am more accustomed to in a collegiate setting are quite different from marching in a Division I drum line. However, exposing myself to a broad range of styles and situations in school helps develop my overall sense of musicianship, and I can certainly apply that to my summers as a member of a drum corps as well.